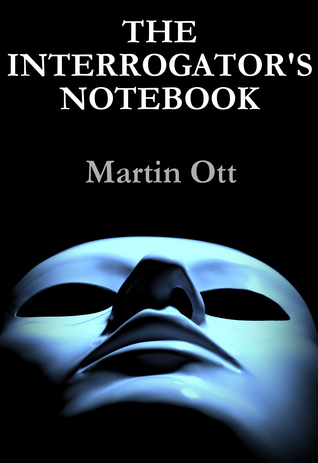 The Interrogator’s Notebook is a psychological thriller novel written by Martin Ott; a poet who has successfully trespassed into the thriller genre. It features a former army interrogator, Norman Kross, but doing a much lighter task now, that is teaching. However, he couldn’t stay away from his profession for too long, as he accepts to do one last assignment, interrogating an actor, who is suspected by the famous director Owen Arnold, of murdering his daughter Natasha. Norman Kross – his unique character was a highlight of this novel with his seemingly unconventional techniques of interrogation, his totally messed up personal life, the squabbles with his father in law, and his complete devotion to his profession. I liked the introductory pages of every chapter where the Norman narrates his past experiences and also his approach to interrogation. The balance too, was proper, and nowhere did I get a feeling where the story regarding his personal life is merely a sub-plot. The antagonist too was an interesting character, the actor George Stark, who managed to keep Norman under threat – something which he had probably never felt, even at Fallujah. The USP of this novel is that it is straight from the horse’s mouth, with Martin Ott, himself being a former interrogator and the book that I read, is probably even a collection of his own experiences – which was suggested, I guess in Lesson 10, where Norman states that if he has to compile his experiences, it would probably be presented as a fiction. The only significant drawback I felt was that the pace that was required for a thriller novel wasn’t present in this plot, although that didn’t in anyway made it dull. For casual readers, this might not be so easy read; taking a gist of paragraphs after a couple of glances won’t help you and if you’re intrigued by this review, I suggest you read this book without skipping a word. When I came to know that this book was categorised under Psychological Thriller, I was quite sceptical about the whole thing as the only psychological thriller I’ve read so far is the famous Russian novel, Crime and Punishment and I was utterly disappointed with it but this book has helped to dispel that scepticism on this sub-genre. I had an enjoyable experience reading this book, and I felt that this was one step ahead of a good book, and therefore, my scale would award The Interrogator’s Notebook a seven on ten.